I was fortunate to have work for the UFW in the New England division. Although I’m from Sanger, Ca, I became involved with the UFW while attending school at Fresno State. 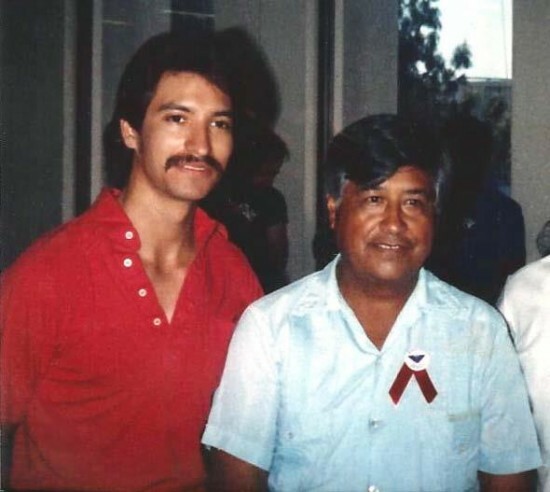 I became good friends with Cesar’s son-in-law, David V. and David ask if I would volunteer my time to work for the UFW in Boston, Ma in 1987. It sounded like a great opportunity, so I was honored to say YES! So I drove out to Boston to help out. While in Boston, we would set up honorariums for Cesar to come speak at such places like Harvard, MIT and other engagements. I was fortunate enough to have spent Thanksgiving dinner with Cesar and his family in 1987. Dolores Huerta even came up to see us one year and we toured the great mansions in Newport, Rhode Island together. We would often go down to visit Arturo Rodriguez and his family in New Jersey and help out the New York division. Those are memories I will always remember and cherish. Thanks for the memories, UFW!